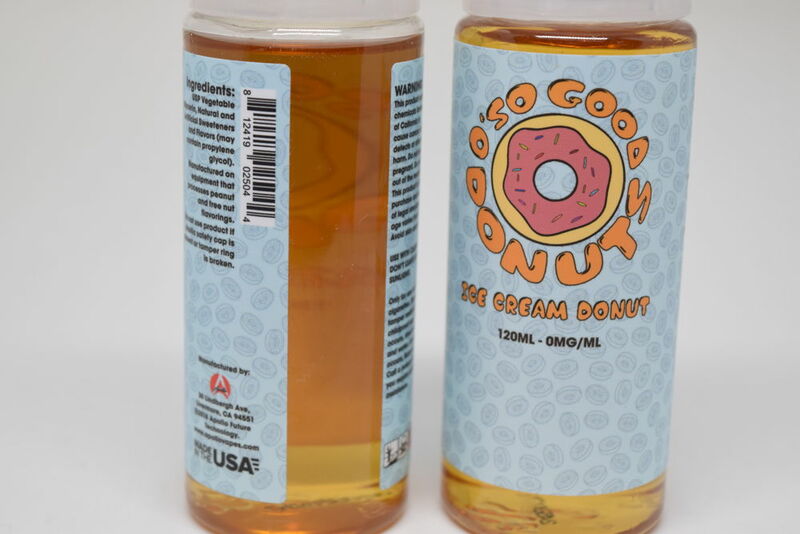 As the name clearly suggests, O’So Good Donuts is a line of e-liquid that tries to accurately reproduce the flavor of freshly fried donuts. 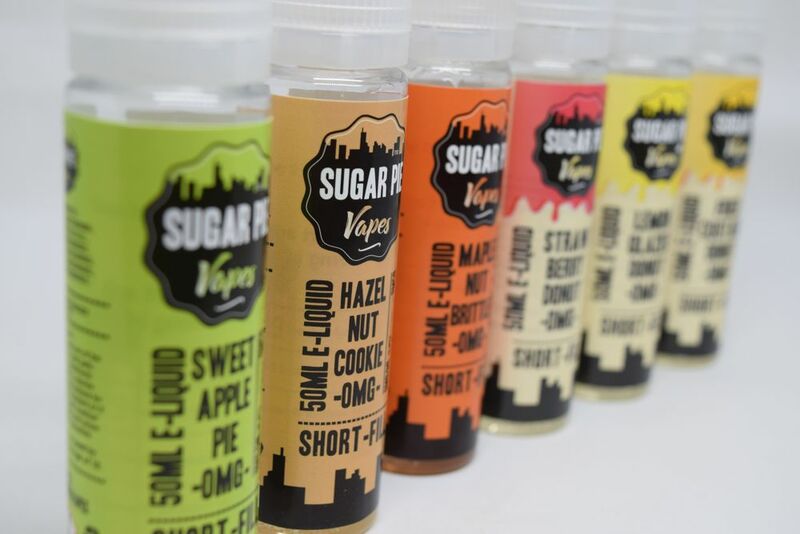 That sounds delightful, but having tried quite a few donut vapes in the last few years, I’ve learned not to get my hopes up, because that authentic donut flavor is really tricky to get right. I can only recall a couple of manufacturers that really impressed my with their donut juices, but who knows, maybe I can add Apollo to that very short list. 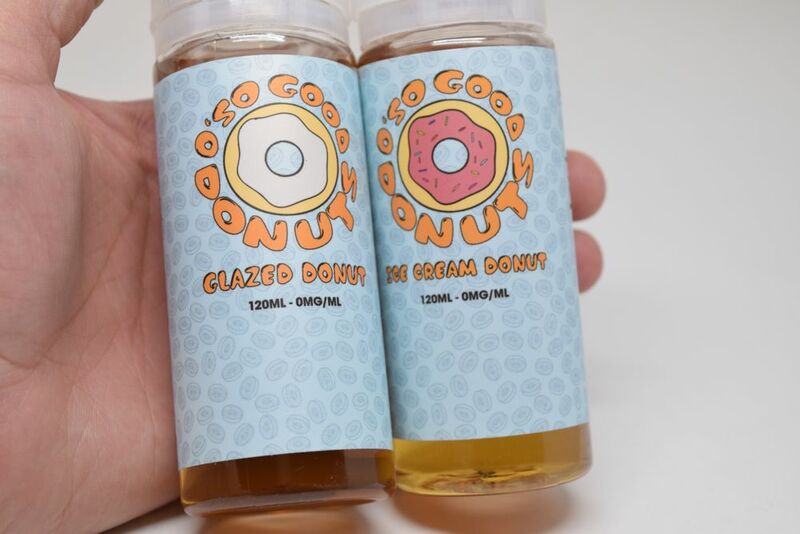 O’So Good Donuts currently consists of only two flavors – Glazed Donut and Ice Cream Donut – both of which are available in 120ml gorilla bottles in the US, as well as 50ml shortfill unicorn bottle in the UK, where Apollo has been very active for many years. In the US market, O’So Good Donuts is available in 3,6 and 9 mg/ml nicotine strength, whereas in the UK, you can only find the nicotine-free version, because of the EU’s TPD rules. For this review I received the 120ml bottles straight from the manufacturer. 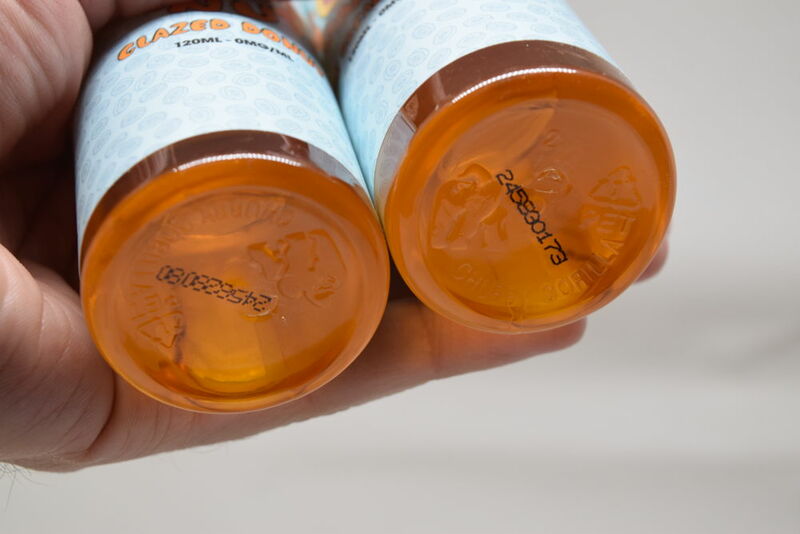 The gorilla bottles feature child-proof caps and nicely-designed labels with a donut-themed background and a big, tasty-looking donut logo in the middle. You can find most of the information you might be interested on the label, like ingredients and nicotine strength, as well as all the legally-required warnings and company information, but I wish they would list the VG/PG ratio as well. The Apollo website states that these are both MaxVG e-liquids, but they should probably put that on the bottles as well. Both e-liquids made my mouth water just by looking at them. They have this tasty-looking amber color to them which hints of freshly fried glazed donuts, so I couldn’t wait to try them to see if the flavor matched my initial impressions. Glazed Donut – This was the flavor I was most excited about. Don’t get me wrong, I’m crazy about chocolate, caramel and fruit filled/glazed donuts too, but there’s nothing quite like the simple yet delightful taste of a freshly fried glazed donuts. Plus, this is really the base for the other typed of donuts anyway, so if Apollo could get this one right, I was most likely going to love the other ice cream flavor one as well. 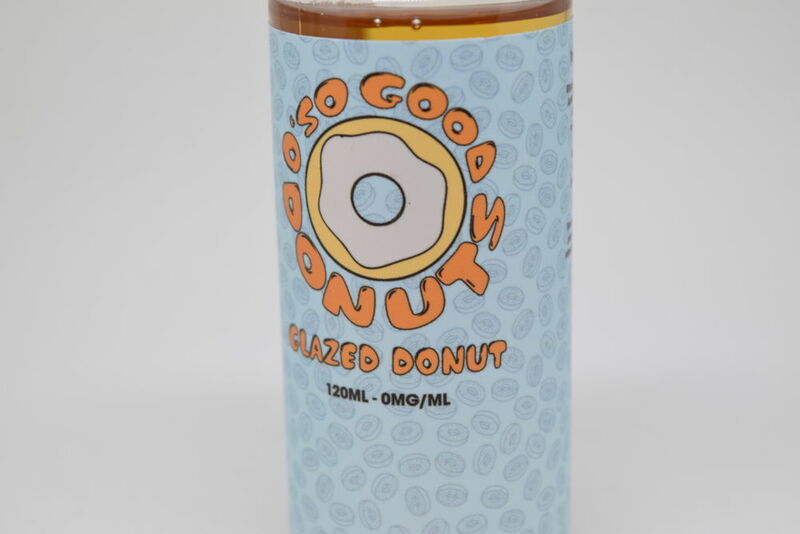 Having vaped over a dozen bottles of Loaded Glazed Donuts, I knew that there are e-liquids out there that do actually taste like a real glazed donut, but the O’So Good Donuts version was very different. I honestly can’t say that it’s bad, or even that it doesn’t taste like donuts, it’s just not the kind of donut I’m used to. It definitely has a fried dough base, and it’s really sweet, so it has that going for it, but there’s not much more to it than that, and it’s not enough to replicate the taste of donut. As I said, authentic dount vapes are really hard to find. I’ve actually reviewed a few donut-flavored e-liquids in the past, and with the exception of DRPN Donuts, none lived up to my expectations. Maybe I’m just too picky, because I’ve actually looked at customer reviews on multiple websites carrying O’So Good Donuts, and most people seem to love it. Ice Cream Donut – After vaping Glazed Donut, I expected this flavor to be more of the same with a bit of creaminess added to it, but this flavor turned out to be very different. According to the Apollo website, Ice Cream Donut is supposed to taste like “the warm glazed donut you know and love, topped with strawberry ice cream”. They definitely got the strawberry ice cream part right, as this juice really does have a strong creamy strawberry flavor to it, but once again, the donut doesn’t really taste realistic to me at all. I get more of a strawberry cake taste, which is actually pretty tasty, but it’s not a donut. If you’re into strawberry desserts, and don’t really care if it’s a donut or a cake, I say go for it, but if you’re looking for a realistic-tasting strawberry donut, you’ll probably be disappointed. Overall, I was slightly disappointed with the O’So Good Donuts line. Having recently tried two other of Apollo’s e-liquid lines, I was expecting something more. 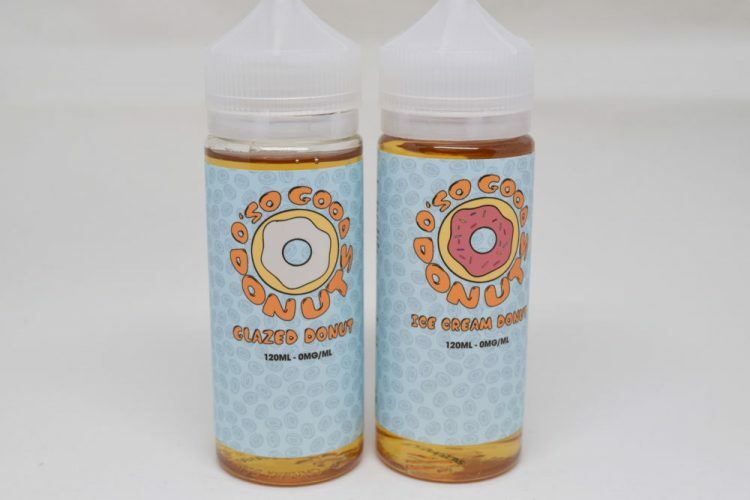 I will emphasize that taste is subjective and that these two e-liquids actually have very positive user reviews online, but I just didn’t get the donut taste I expected, so I can’t really recommend them.